The Philadelphia 76ers unveiled three new uniforms that will be worn during the 2015–16 season. 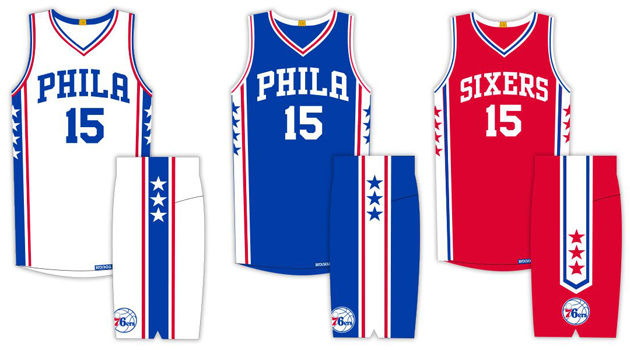 On Thursday, the Philadelphia 76ers unveiled three new uniforms that will be worn during the 2015–16 season. The home uniform is still white, but the road uniform goes from red to blue and the alternate jersey goes from blue to red. The uniform update is Philadelphia's first since 2009 and includes several nods to the franchise's history. There are stars running down each side of the shorts (seven on one side, six on the other), a feature of the team's 1976-77 uniforms. The home and road jerseys both have "PHILA" across the chest, rather than "SIXERS," which is what was on the jersey when Wilt Chamberlain played for the team. 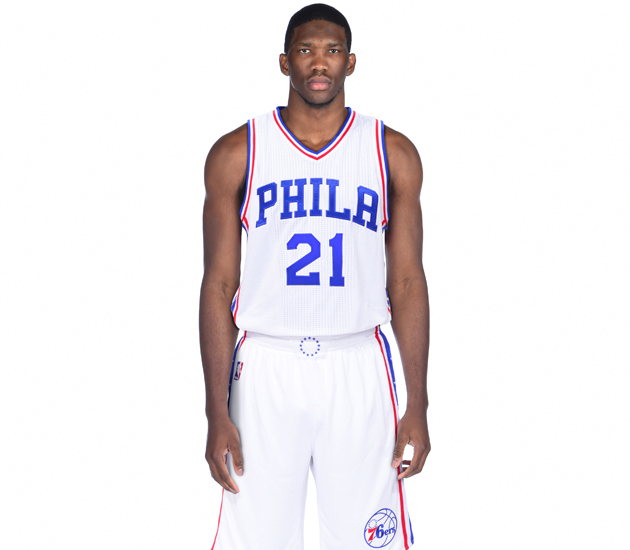 The Sixers wordmark remains on the alternate uniform. The back of the collar features a gold patch signifying the franchise has won three championships. All NBA teams that have won titles will wear the patches beginning next season. The Los Angeles Clippers unveiled their new logo, uniforms late Wednesday night while the Milwaukee Bucks showcased their new home, road uniforms on June 6.